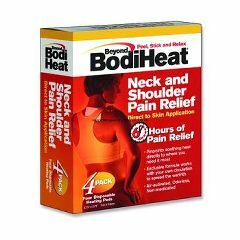 Fast acting heat pad with direct to skin application, provides 6 hours of pain relief. Pinpoints soothing heat directly where you need it the most. Exclusive formula works with your own circulation to spread the warmth. Air-activated, odorless and non-medicated. Product is supplied as a pack of 4 treatments, 6 shrink-wrapped boxes (24 treatments). Pad measures 2.75” x 3.75”. Disposable, single use only.